RSPB Lochwinnoch nature reserve was established in 1973. The iconic visitor centre open in 1975 and the same structure still exists today, but the visitor experience is very different from when the reserve first opened. The current visitor centre provides an opportunity to find out more about and get close to nature, with the help of our team of friendly staff and volunteers. We run a wide range of activities, suitable for the whole family from pond dipping to guided walks to bug hunts to film show. Events are often posted on Facebook but visit our website www.rspb.org.uk/lochwinnoch for the most up-to-date information. The reserve has a well stocked shop with the latest bird feeding and care equipment in stock, along with binoculars and telescopes, an excellent range of wildlife books, gifts for all ages and lots for kids as well. Stock up on bird seed, get someone a birthday present or treat yourself to something from our eco-friendly, palm oil free skinny dipper range of products. The visitor centre has excellent views over the Aird Meadow section of the reserve from both the downstairs viewing area and upstairs from the Tower. Binoculars and telescopes are provided, along with our friendly team to help you use them, so that you can get the most from your day out. The reserve has three main walks: Aird Meadow trail (1km) a beautiful woodland walk leading to our wildlife watching hide, from which you can see a wide variety of ducks, swans and other wetland birds. The trail and hide are both wheelchair accessible, although the surface is natural and uneven in places; Dubbs trail (500m) a walk along the reedbed and wetland with a simple and peaceful viewpoint at the end; Semple Trail (1 mile) walk along this entirely off-road track from the RSPB Centre all the way to Castle Semple visitor centre, taking in the River Calder and accompanying wildlife (kingfisher, dipper, grey wagtail). Lochwinnoch village and the nearby visitor attractions make this an excellent place for an afternoon out with the family, to take in the peaceful countryside, only 20mins from Glasgow! Free entry to visitor centre, viewing area and shop. Small admission fee for nature trails. Free for RSPB members and those travelling by 'green' transport. Free hot drink if you travel to the reserve by bike! We aim to make all of our events suitable for the whole family, often with accompanying adults attending free of charge (unless otherwise stated). We also run daily activities including pond dipping and bug hunting (April to October), our Monthly Wildlife Challenge, Bird Bingo and much more besides. We have a treetop tower with indoor games and activities - why not try the Treehouse Quiz? Dogs are allowed on all footpaths. They must be kept on a lead. 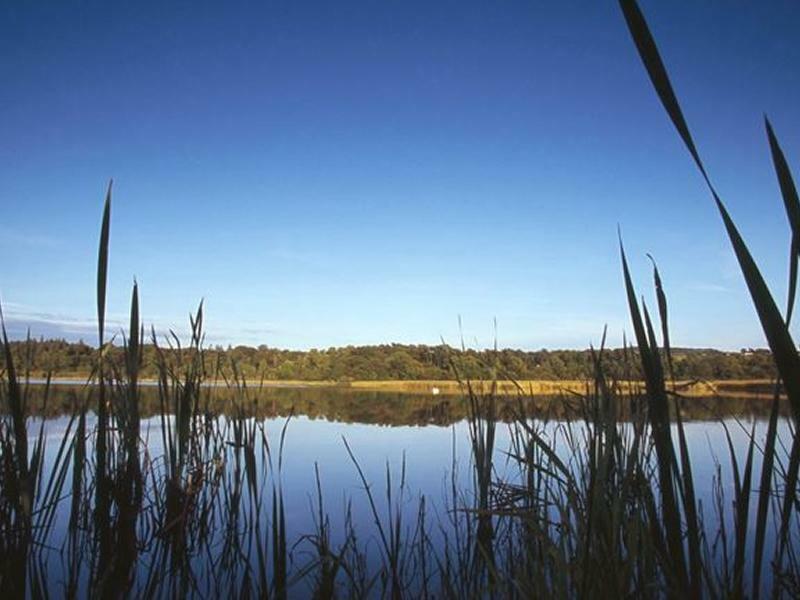 Lochwinnoch is one of the most accessible RSPB sites in the UK, just a few hundred yards from Lochwinnoch train station, sits alongside National Cycle Route 7, with a safe walking route to and from the village itself and close by the A737 Irvine road. If you're cycling, why not take the opportunity to use the brand new Semple Trail, a new, off-road route that joins RSPB Lochwinnoch, Lochwinnoch village and Castle Semple Visitor Centre to the village of Howwood. Why not cycle from RSPB Lochwinnoch to Howwood and then get the train back? En route, you can enjoy vast stretches of farmland or take in the wildlife and scenery of the Aird Meadow and Castle Semple Lochs. You could take a small diversion into the beautiful Parkhill Woods or stop off at the RSPB visitor centre to enjoy our woodland birds and feeding station, offering excellent views of a wide variety of species including great spotted woodpeckers, goldfinches and much more besides! Sorry, but we have no upcoming events for RSPB Lochwinnoch Nature Reserve. If you know of an event taking place at RSPB Lochwinnoch Nature Reserve or anywhere else in Renfrewshire tell us about it and we'll list it on the website, for free!